This fundamental requirement means that using values (services) produced within the class from new or static methods is prohibited. The class should accept values passed in from outside. Dependency injection is one form of the broader technique of inversion of control. Rather than low level code calling up to high level code, high level code can receive lower level code that it can call down to. This inverts the typical control pattern seen in procedural programming. As with other forms of inversion of control, dependency injection supports the dependency inversion principle. The client delegates the responsibility of providing its dependencies to external code (the injector). The client is not allowed to call the injector code. It is the injecting code that constructs the services and calls the client to inject them. This means the client code does not need to know about the injecting code. The client does not need to know how to construct the services. The client does not need to know which actual services it is using. The client only needs to know about the intrinsic interfaces of the services because these define how the client may use the services. This separates the responsibilities of use and construction. What Choices Do We To Do This When Working With React? Which 3rd Party DI/IOC Library Did I Chose And Why? So those were my reasons, so what do we have to do to get Inversify JS to work? Lets start with creating something that can be injected with other values, and can be resolved from the container. To actual get something injected into a class we need to use the @Inject decorater. Here is an example of a class that can be resolved from the Inversify JS IOC container, and will also have it constructor dependencies resolves by the Inversify JS IOC container. You can see that we also use some TYPES. What are these, lets take a look at that. It can be seen this TYPES constant just offers us a way of using Symbol as runtime identifiers for our dependencies. Ok so now that we have a class that expects to have its dependencies satisfied from the Inversify JS IOC Container, and is itself resolvable, lets see how we can configure the container. We have our singleton that simple wraps the Inversify JS IOC container. 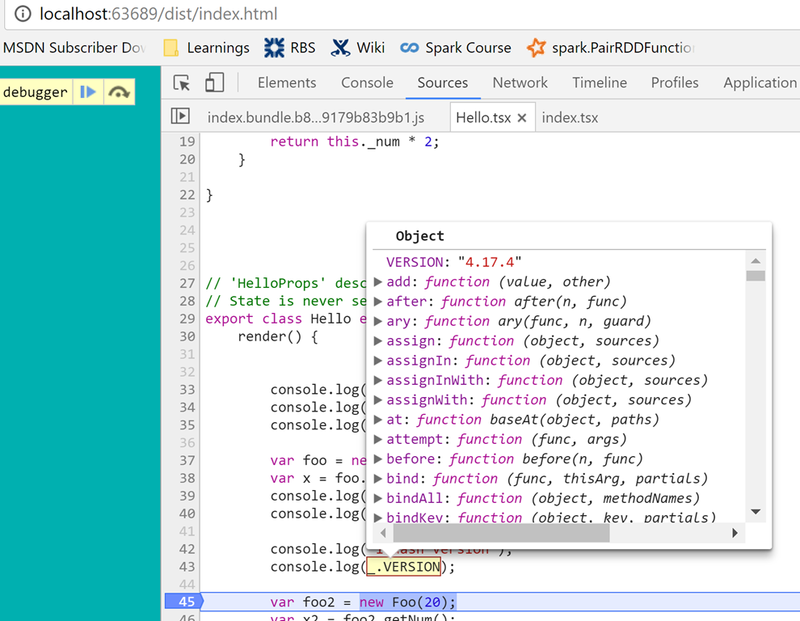 I have to say I did struggle a bit with getting Inversify JS up and running in my project. But I also have to say that I asked a question on the Inversify forum and the author Remo Jansen was absolutely brilliant in helping me to get my stuff to run. To the point where I pointed him at my GitHub repo, and he looked at, got it to work, and sent me a pull request. So once it was installed, I found it very easy to work with, it soon felt like many other IOC frameworks I have used (NInject, Funq,Munq, Castle, AutoFac, Unity, MEF take your pick). I was very happy with the results. So let me just apologize for how long this one has taken to put together, I never envisaged that this post would take me quite as long as it has. That said it has only taken 5-6 days where I have spent a maximum of 2 hours on it, and when I started this post I had a VERY rough idea of how webpack worked and what it did, but I had NEVER tried to create a webpack project from scratch, so not so bad in the end, I am fairly happy with the results. What did I want to get to work VS what is working? As you can see I did actually manage to get ALL of this to work with the one exception of the typings for 3rd party libraries. The code still works at runtime, but there is just something hinky going on outside of runtime. I would just like to spend a moment ranting about just how much disinformation is out there on the whole module/typescript/webpack space. I must have read about 100 posts, all with different setups, all with different tsconfig.json files, all suggesting different webpack setups. On one hand my god weback/TypeScript are cool, but you have to be VERY careful what you apply. If you get your tsconfig.json into an invalid state, you just may find that editing TypeScript no longer works inside Visual Studio. All failed, so if anyone out there that is a TypeScript / React / WebPack guru, please let me know what I am doing wrong. The funny thing is that EVERYTHING is 100% fine at runtime. Ah that feels better, anyway now that, that is out of my system, lets continue shall we…. // Include comments with information about the modules. We will be diving into this, and a lot more within this post. Loaders are probably the MOST important webpack concept to learn. There is practically a loader for EVERYTHING. But what exactly is a loader? These are the main entry points into the code. So for me this is the index.tsx file. 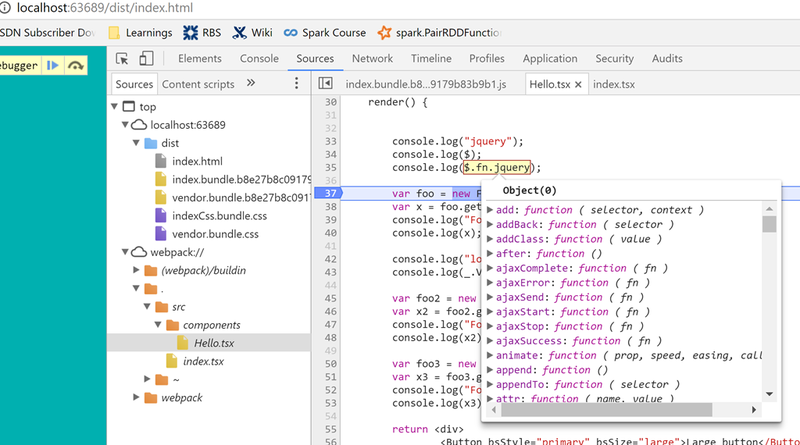 This is where you tell webpack what the name of your final bundles will be, which will contain all the code files that matches the regex test that was setup in the loaders. 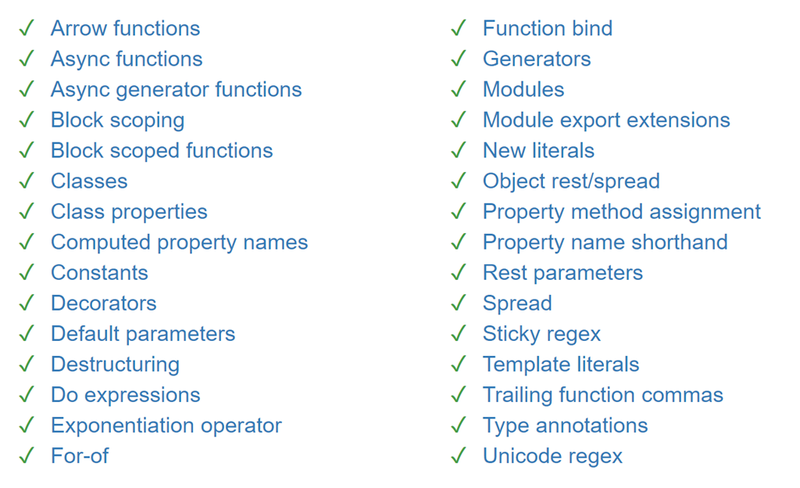 It is VERY important to note that ALL the files that matches the loader regex will become part of the bundle file. 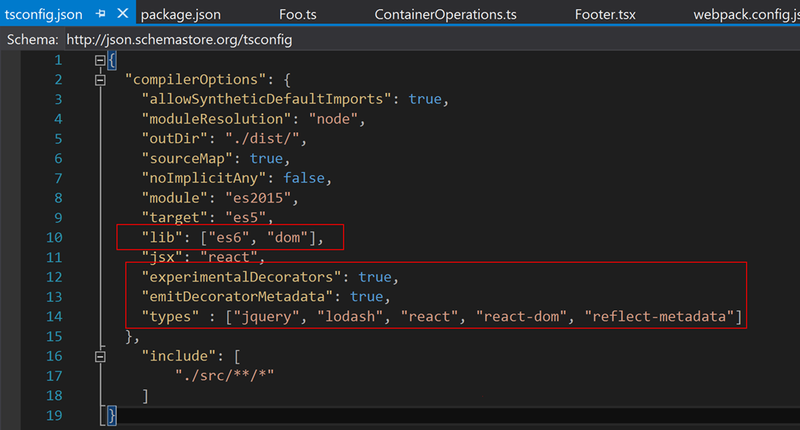 The other thing you need when working with TypeScript is a tsconfig.json file. Here is mine, you can see that I have configured mine to be react friendly. NOTE: You need to be a bit careful with this file, if you mess it up, you may find yourself in a quite sad position where you can no longer edit TypeScript files in Visual Studio. This is the sort of stuff that Babel allows you to write right now. The other part of the puzzle to get CSS to work is this ExtractTextPlugin that you can see mentioned in the loader sections just above. 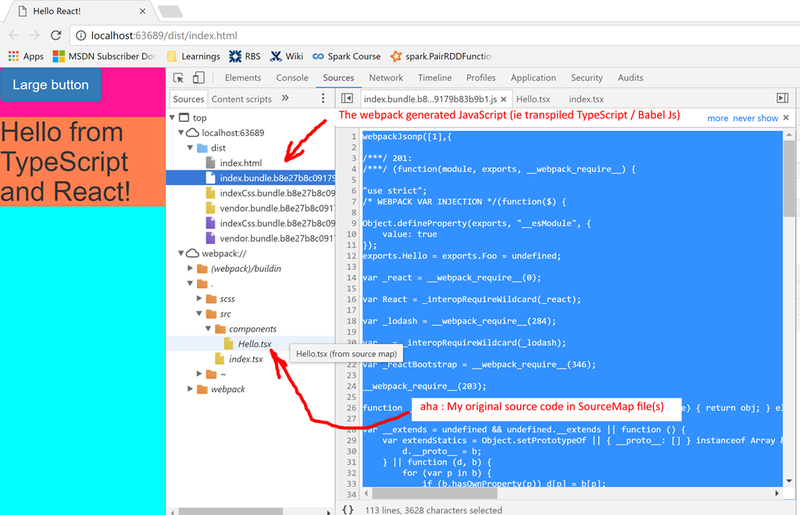 What the ExtractTextPlugin does is to extract all the text from the individual CSS files (yep that’s right SASS/SCSS is transpiled to regular CSS) into a single CSS file. Don’t be too scared by the [name] and [hash] stuff just yet we will get onto to that later. So for those of you living under a rock there is a great library (started by Twitter engineers) to help create responsive uniform looking sites. This library is called twitter Bootstrap. It comes with various components and CSS, and use typeography for its icons. Now Bootstrap is great, but I wanted to use React, and React has the concept of a virtual DOM, and generally speaking tries to work with it own Virtual DOM rather than the real DOM. This has led to a specialized version of Bootstrap specifically for use with React. Naturally I needed to get that to work. It is called React-Bootstrap. Ok hope you all recall but a while ago I promised to explain what was meant by [name] and [hash] in my webpack config. I think name is self explanatory, but [hash] is an interesting one. The idea of producing a hash for your bundles is great. That means if the file contents change the hash produced is different, so the browser cache would be invalidated. That’s cool. But hang on how do we normally include script/css references in our Html page, either in Script/head tags right? And if the hash is changing all the time, how can we possible link to files where we don’t know what the hash will be. Luckily we just use the HtmlWebpackPlugin, which does a great job of taking a template for the original HTML we want to end up with, and putting the final bundle generated references into a copy of the template and copying that final HTML file to the desired output directory. 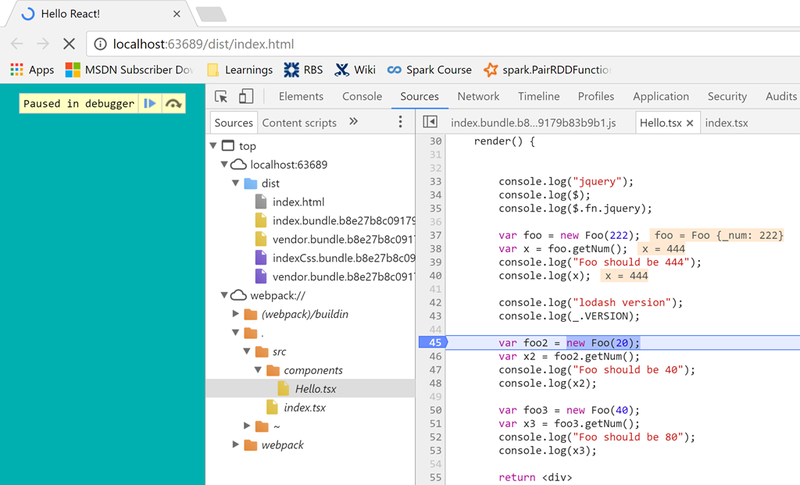 The final thing I wanted to cover was how to have different DEV/PROD webpack configs. Up until now I have just been showing you a base config file. 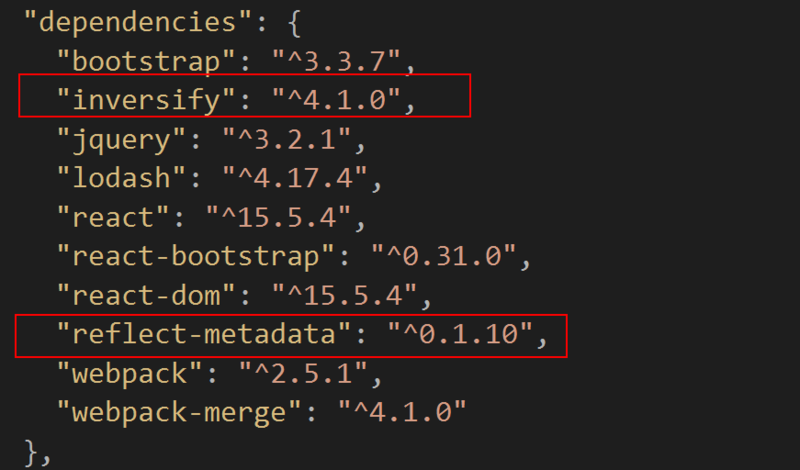 But we can use webpack-merge to allow us to create bespoke webpack config files for specific environments. as I have not embarked on a mission like this before. So please bear with me. SO JUST WHAT IS IT THAT I AM TALKING ABOUT? as “spikes” and end up in complete dead ends. It is about the journey after all. You can think of the tasks as “technical tasks” which make up the high level “stories” (in JIRA speak). a working showcase that demostrates it all working together). There should be a web interface that a “pickup client” can use, that shows a “pickup client” location on a map, which the “pickup client” choses. The “pickup client” may request a pickup job, in which case “drivers” that are in the area bid for a job. A “driver” may bid for a “pickup client” job, and the bidding “driver(s)” location should be visible to the “pickup client”. When a “pickup client” is happy that they have been picked up by a “driver”, the “pickup client” may rate the driver from 1-10, and the “driver” may also rate the “pickup client” from 1-10. A “driver” or a “pickup client” should ALWAYS be able to view their previous ratings. Whilst this may sound child’s play to a lot of you (me included if I stuck to using simply CRUD operations), I just want to point out that this app is meant as a learning experience so I will not be using a simple SignalR Hub, and a couple of database tables. Some of this will undoubtedly be covered in other blogs (such as React/Webpack), however some of it I am hoping will be quite novel/insightful material. Who knows though there may be some of you out there that haven’t heard of Webpack, so some of that may even be new, we shall se, hopefully enough stuff for everyone. I will simply use Trellos “Label” facility, such that done tasks will be “Green”, and there will obviously be a post/GitHub code repo folder that goes with that.